My name is Stuart and I have over 15 years experience in the gas central heating industry. I Install all types of heating systems to suit all customer requirements. I pride myself on a punctual, neat and meticulous approach to my boiler installations, where systems have been thoroughly flushed and accurately sized to achieve the most efficient energy consumption. Due to being a Worcester Bosch Accredited Installer, I am able to offer customers up to a 10 year parts and labour guarantee on my installations, giving customers great peace of mind well into the future. I also provide a thorough post installation backup service after installation, providing timely routine maintenance and appliance servicing when required. I cover the Stockport, Manchester and High peak area and if you require a free no obligation quotation or just some friendly helpful advice, please don't hesitate to get in contact. I do my best to suit my customers timeframes and can work around the busiest of lifestyles. Stuart installed and commissioned a new combi boiler for me. 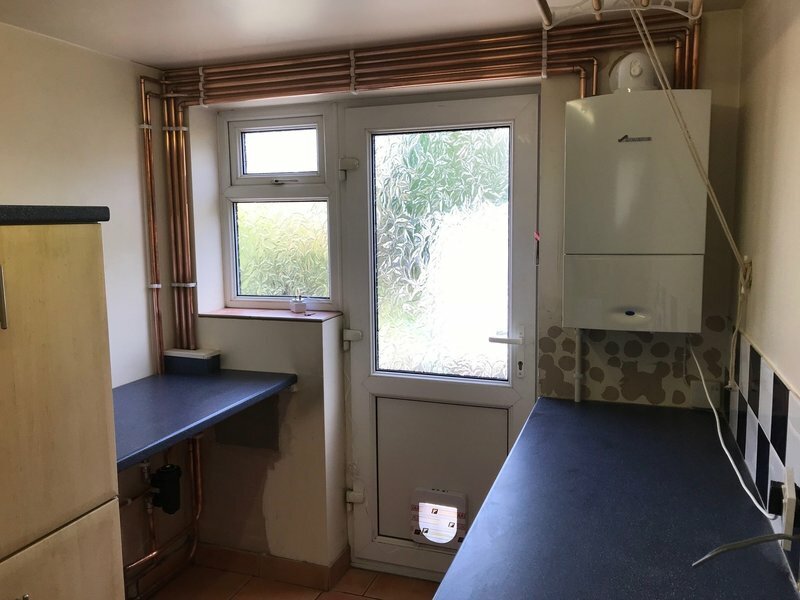 This involved full fitting, new pipework, removal of old water tanks and flushing through of all radiators as well as installing a new radiator in the spare room. He also fitted new thermostats to the radiators. Stuart did a fully professional job and kept in constant communications with me throughout. The work was carried out to the agreed schedule and on budget. I can highly recommend Stuart and will certainly use him again for any future work. Hi Stuart of Henshaws Gas provide a reliable, professional and trustworthy service. They have helped to complete routine servicing and also breakdowns. Recently my boiler failed during very cold weather and Stuart was immediately available to help and fixed the problem very quickly. Would thoroughly recommend. Thanks again Stuart. Good telephone manner, work carried out promptly and efficiently at competitive rate would recommend to others. Stuart fitted a new Worcester boiler at our home. He carried out the installation efficiently and in a timely manner with minimal disruption, whilst adhering to the budget we had agreed. Stuart is professional, personable and efficient and we were extremely happy with his services and our new boiler. We would definitely recommend Stuart as being a reliable, trustworthy plumber in the High Peak. Stuart was highly professional, honest and reliable. I felt comfortable in my own home whilst the work was being carried out and wouldn’t hesitate to use him again. We had a new boiler fitted by Stuart, and found him to be extremely helpful and informative and he also highlighted additional faults that he rectified. Our old boiler was condemned, and he was able to fit us in sooner than intended so we weren't without heat for any considerable time. We would highly recommend Stuart, and found his standard of work to be extremely high and professional. We had a new boiler fitted. Stuart quickly diagnosed the problem with the old boiler and organised its replacement. He was prompt, clean, polite and thoroughly professional in how he completed the job and in all his dealings with us. Work done - Replacement of failed combination boiler. Addition of smart controller. Stuart was reliable, prompt, clear and fair in advising and providing a quotation. The quotation detailed each element and so gave full transparency of all work and goods before we accepted. The fact that Stuart is accredited with boiler manufacturer was a great help and reassurance. The work was scheduled and completed on time and without any problems for us. We are delighted with Stuart and Henshaw Gas. We have asked them to carry out the annual service and will be certainly call on them if we have any other work. Stuart fitted a Worcester Bosch 24 RI boiler. He removed and disposed of our old boiler. He also flushed out the radiators added an inhibitor to protect against corrosion. All the work was completed very efficiently in one day and we are very pleased with the result. Stuart is very personal and always wants to do the best for us. He’s my go to person for anything heating associated. He’s exceptional.